Your watch has served you faithfully, but now it’s time to make room for something new. 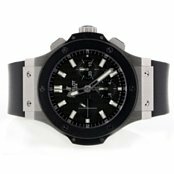 Selling used watches is among Worthy.com's specialties. Our process is transparent, quick, and stress-free, and our team knows how to ensure that you get the best market value possible. Whether it’s a Breitling, Cartier, Rolex, or any of the many luxury brands we accept. 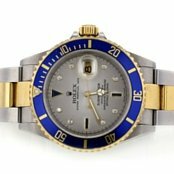 when you sell used watches on Worthy.com, our experts ensure that you receive the highest possible offer. It’s often possible to sell used watches locally, to venues such as pawn shops and certain specialty or jewelry stores. While some sellers occasionally receive fair market value when selling timepieces locally, there are several reasons why taking advantage of Worthy’s services may serve you better. Worthy brings the market to you. There’s no need to spend time hunting for local buyers when selling used watches with Worthy. Our buyers’ network consists of hundreds of qualified, pre-screened watch buyers from across the nation. Worthy’s platform brings them together, prepares your watch for auction, and presents it to interested buyers who are prepared to bring fair offers to the table. We get the best price for your luxury watch. 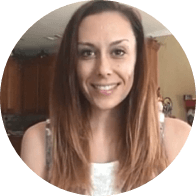 Our team specializes in helping people sell used watches online, but that’s just the beginning. We offer deep, inside knowledge of the luxury watch market, and we offer the expertise to ensure that you receive the highest possible market value. We offer accreditation, trust, and transparency. 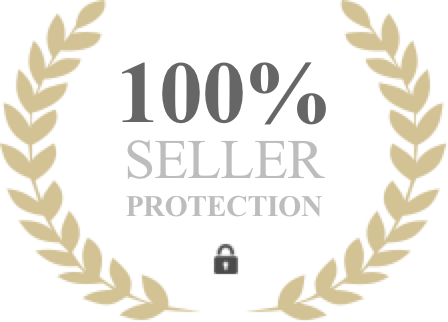 Worthy.com holds a Secondhand Dealer’s License issued by the New York City Department of Consumer Affairs and we are accredited by the Better Business Bureau. We ensure your watch’s safety. All items are covered with up to $100,000 in insurance coverage before and during the sales process. Insurance coverage begins when you ship your watch to us and continues while in transit and throughout storage in our secure facility. We are luxury watch experts. In a vast marketplace, it’s important to select specialists for every step of the authentication, evaluation, and sales process. Because every luxury watch is unique and deserves a highly detailed evaluation, we entrust your timepiece to CentralWatch, an iconic watch shop located in the heart of Manhattan’s Grand Central Station. 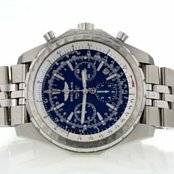 Because we sell used watches using a unique auction platform, we are able to target qualified, interested watch buyers from across the nation, ensuring that bids are competitive and that you receive the best possible price. We cover important logistics and costs associated with shipping and insuring your watch, as well as evaluating and presenting it at auction. These costs are covered throughout the entire process, from the time your watch leaves your hands until it is received by the buyer. Details and images matter. When you sell used watches with Worthy, there’s no guesswork involved in the photography process. Every listing is accompanied by high-quality photos that provide buyers with every detail. Our experts take pride in handling this vital task on your behalf, ensuring that you receive the highest possible offer. 1. Description. Be sure to mention any accompanying paperwork, and describe your watch to the best of your ability. 2. Trending price. Our team will formulate a trending price for your timepiece based on the description you provide and similar watches auctioned on our platform. 3. Evaluation. You will receive a prepaid shipping label, pre-addressed to our authentication and evaluation facility. 4. Reserve Price. The horology experts at CentralWatch will examine your watch, after which a detailed report will be composed. Our photography team will take HD photos of your watch to present it at auction. At this stage, you are given the opportunity to select a reserve price. 5. Auction. Watch buyers are invited to view your watch and place competitive bids. If the highest bid meets or exceeds the reserve price you determined, the sale is confirmed and money is transferred to you. If the auction’s highest bid falls below the reserve price, you have the option to decline the sale and we will ship your watch to you free of charge, fully insured. Local watch dealers and jewelers are familiar and trustworthy, however, there are some downsides to dealing locally. Because local businesses have high overhead costs to cover and profit margins are often thin, they are not normally interested in getting you the best market value for your watch; in fact, this is often an impossible task. Worthy’s marketplace is large, well-known, and well-respected among watch buyers nationwide. We combine personalized services with the power of a highly regarded auction platform, making it easy for our clients to sell used watches quickly while receiving the best possible price.